Your furniture's location in a room isn't a daily concern. As long as it's functional, the furniture is barely a thought in your mind. When you're ready to sell the home, however, the furniture's arrangement should become a priority. The furniture creates a mood in the home, which must reflect comfort for a quick sale. It's time to stage your furniture so that potential buyers fall in love with your property. There are several tips and tricks that can make a stellar difference. Your couch, side tables, chairs and dining table may have peeling paint. Before you can arrange the furniture in "staging" positions, it must look clean and fresh. Strip the peeling paint from the wood or metal surfaces. There are several products that can perform this work for you without any damage to the main materials. Be sure to cover any nearby fabrics that might be impacted by the stripping chemicals. It's possible to refresh any furniture with just a stripping job. There might be a beautiful, wood grain just underneath the paint's surface. As an alternative, consider a staining project for your wood furniture. When you stage a home, the furniture becomes a focal point. Wood can make a strong impression when it has a fresh stain. You'll be able to see the grain in its full glory as a result. Choose a stain that complements the room's decor. For a dramatic appearance, look for dark-brown hues. Rooms with a bright and airy appeal will benefit from a light-brown color on the wood. The staining process is much easier than painting so this task can be a quick and easy one to complete before an open house. If you want to get away from the wood or metal appearance on the furniture, try a new paint job. Pick a color that matches the room and furniture upholstery. Don't just add paint onto the stripped material, however. Sand and prime the surfaces before you add the final, paint color. The effort that you put into this preparation period will result in furniture that shines with a professional appearance. The chairs and tables should last longer than just your staging period too. Once you stage and sell the home, the furniture will fit in nicely at your new property. You might look at the staining and painting as difficult tasks. Many suggestions that you find online can include the use of slipcovers. From a professional's perspective, avoid the slipcover strategy. Everyone can pinpoint a slipcover in a room. It makes the furniture seem as if it has something to hide, such as a stain. Buyers who walk into a home with a slipcover will equate this mysterious area with the rest of the home. If the sofa has a slipcover, the buyers might wonder if other areas have hidden issues too. Your upholstered chairs may have discolored or torn fabrics. Think about reupholstering them to refresh the furniture's appearance. Because it may be just seat covers that need to be replaced, the fabric and time involved are minimal. Reupholster the seats yourself if you have the required tools (you’ll need a hammer, screwdriver, scissors, measuring tape, staple gun and upholstery tacks) or call a professional. Some furniture is easier than others to work on. Your staging process will look incredibly fresh with clean upholstery. In some cases, you may not need to replace the fabric. A deep cleaning is all that's required. Think about your choices so that you can stage the home as you desire. Rooms with white walls, beige furniture, and other neutral tones won't have a visual punch during open houses. Try a large rug in the living room with a bold color. Red, orange or blue rugs can work well in a neutral-color room. As visitors walk in, their gaze will be pulled to the brightly colored rug along with the nearby furniture. If there are any flaws in the room, such as a small crack in the drywall, they may be overlooked because of the perfectly staged area away from the wall. Staging the home includes the concept of enlarging the space. As a result, the tendency is to push the furniture to the sides as you open up the middle of the room. Avoid this mistake by pulling the furniture away from the wall. You want to create a conversational area in the middle of the room. Place furniture toward each other so that a virtual conversation is born. There should be walking spaces around the furniture too. This staging strategy is referred to as floating the furniture. You have many furniture pieces that you're proud of in the home. An issue arises, however, when there are too many items in the space. A cluttered home isn't staged well. Buyers will be turned off by the clutter because they cannot picture themselves in the messy space. Continue to stage your home by removing certain furniture pieces. Rent a short-term storage facility until the home is sold. A single bed and dresser are all that are necessary in a bedroom, for example. The free space should prevail during the open house. A big part of staging your home is making it look larger than its advertised square footage. You might have a queen- or king-size bed in a second bedroom. This room is typically smaller than the master, however. Make the second room look larger by swapping out the large bed for a twin-size model. It's possible to rent out furniture for this purpose. Simply install it for an open house and return it afterward. The reward is typically a rapid response to your selling price. Ask your real-estate agent to take a second look at your staging before an open house. Another pair of eyes can help you refine the room's appearance. Moving just one piece of furniture can make a huge difference. The bids will quickly pile up as you decide on the best buyer out of the group. 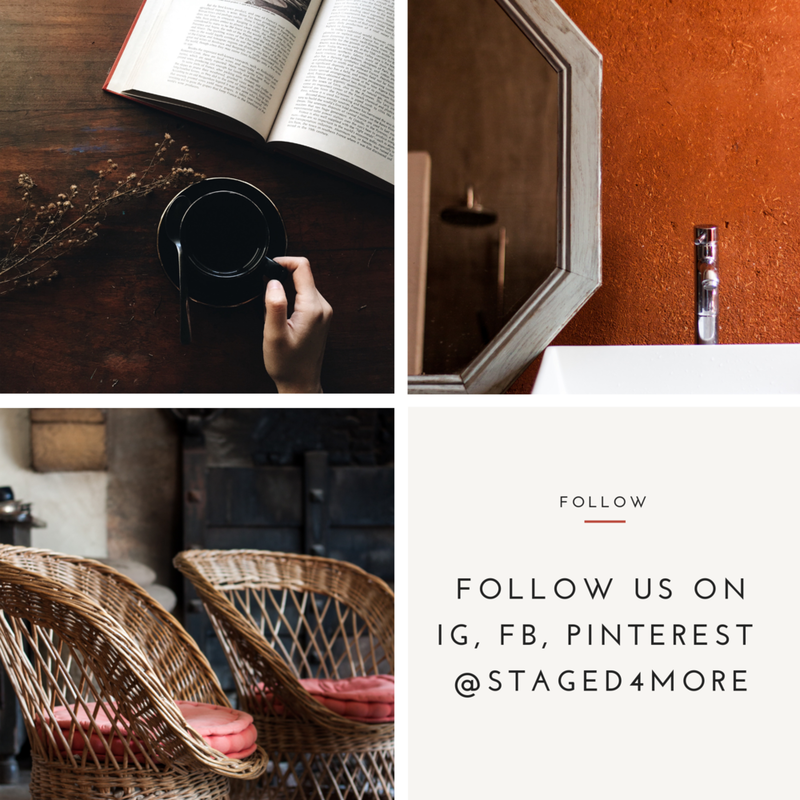 Do you have any tips and tricks about staging your furniture? Add your tips below in the Comments section. Contributor's Bio: Mark Thompson is a professional woodworker with over 20 years experience in the industry. 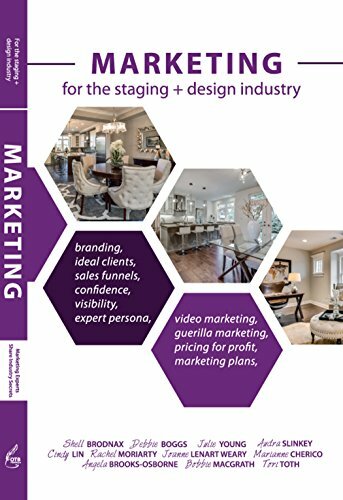 Having owned his own woodworking shop for a long time, he worked on almost all types of projects including refurbishing furniture for home staging . He is now sharing his passion and expertise with like minded people as the founder of ToolsCritic.com.